West Indies allrounder Roston Chase. Roston Chase and Jason Holder rescued West Indies with a century stand but Umesh Yadav struck a late blow for India on day one of the second Test in Hyderabad on Friday. India were a bowler down when paceman Shardul Thakur left the field early in his debut and was unable to return due to a groin injury, but some poor shot selections left the Windies up against it at 182-6. Kuldeep Yadav (3-74) did most of the damage and Umesh claimed a couple of wickets before Chase and fit-again captain Holder showed great resistance to frustrate India. Umesh ended a seventh-wicket stand of 104 by removing Holder (52), but Chase was unbeaten on 98 when West Indies closed on 295-7 as they attempt to salvage a 1-1 draw in the series. Thakur was just four balls into his second over when he limped off, having been given the new ball after Holder won the toss and elected to bat on a flat pitch, West Indies surprisingly leaving out Kemar Roach as the skipper and Jomel Warrican came into the side. Ravichandran Ashwin came into the attack earlier than expected with Thakur off the field and Kieran Powell gifted the spinner a breakthrough, chipping straight to Ravindra Jadeja at extra cover. 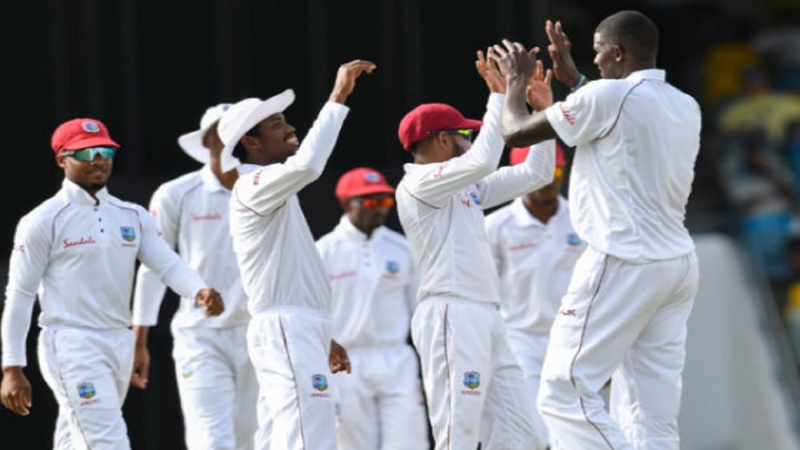 The Windies lost a second wicket and a review when Kuldeep got one to turn back in sharply and trap Kraigg Brathwaite leg before, then Shai Hope fell in the same fashion to Umesh on the stroke of lunch. 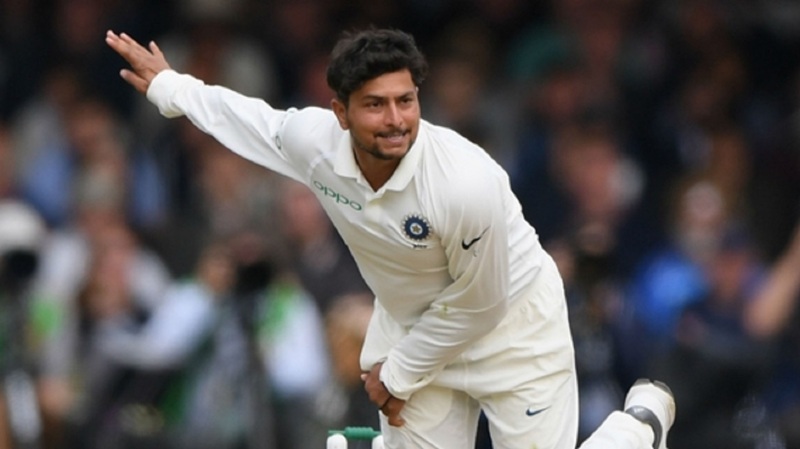 Kuldeep reduced West Indies to 113-5 by dismissing Shimron Hetmyer and Sunil Ambris, but Chase played with authority on the back of a half-century in the opening Test and was given support from Shane Dowrich. Both batsman dispatched Jadeja for six in a much-needed partnership of 69, yet Dowrich was on his way before tea when he was snared lbw by Umesh. Chase, who brought up his half-century before the interval, was assured against the spinners as he continued to play his shots in the evening session along with Holder, who was back to lead the side after missing the first Test with an ankle injury. The all-rounders looked untroubled and Holder raised his bat after putting away a short ball from Umesh, but the captain fell with the close of play looming when he edged behind attempting to hook the same bowler. 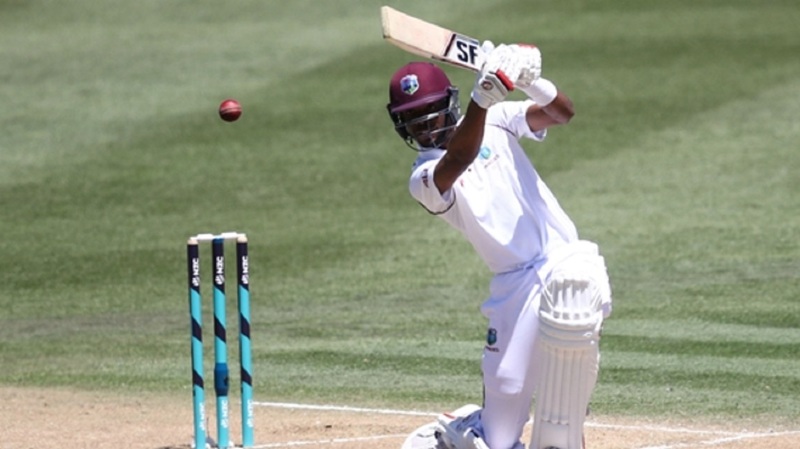 West Indies will be hoping Chase can hold up India with support from the tail when he resumes two short of a fourth Test hundred on Saturday.